Dial in an exact speed for better boat control. Instead of locking you into five preset speeds, motors with Variable Speed Control let you select the precise speed you need. Endura Max keeps you on the water longer – and this convenient gauge on top of the motor tells you just how much longer you’ve got. 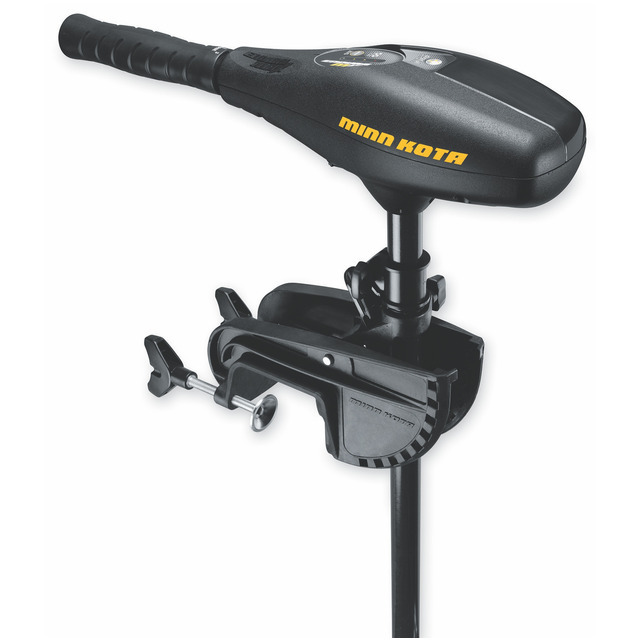 The ergonomic, six-inch telescoping handle provides comfortable, easy steering. The Power Prop delivers extra power to help you push through heavy vegetation. Fits 3-1/4" and 3-5/8" diameters. Our Lever Lock Bracket delivers a rock-solid mount that’s stronger than conventional brackets. Special composite materials resist flexing, warping and UV damage.